Like many others, I have a love/hate relationship with the sun; I love to frolic around on sunny days but hate the freckles it brings out, and the sun spots that never seem to fade. If you're like me and rarely listened to your parents' sunscreen policing, or you had that moment where you decided that looking two shades darker was more important than re-applying your SPF 50 sunscreen, you have come to the right place. The products below are from Murad's Environmental Shield line which is meant to protect your skin from the sun and premature aging while reviving its radiance, and reducing dark spots and wrinkles. Clearly, I don't have many wrinkles yet at the ripe age of 21, but I worked outdoors at a summer camp for two years and could always use a little brightening and dark spot correcting. I'm still searching for that miracle product that makes your skin look like you were literally born yesterday, but in the meantime I'll try anything that gets it anywhere close to that. 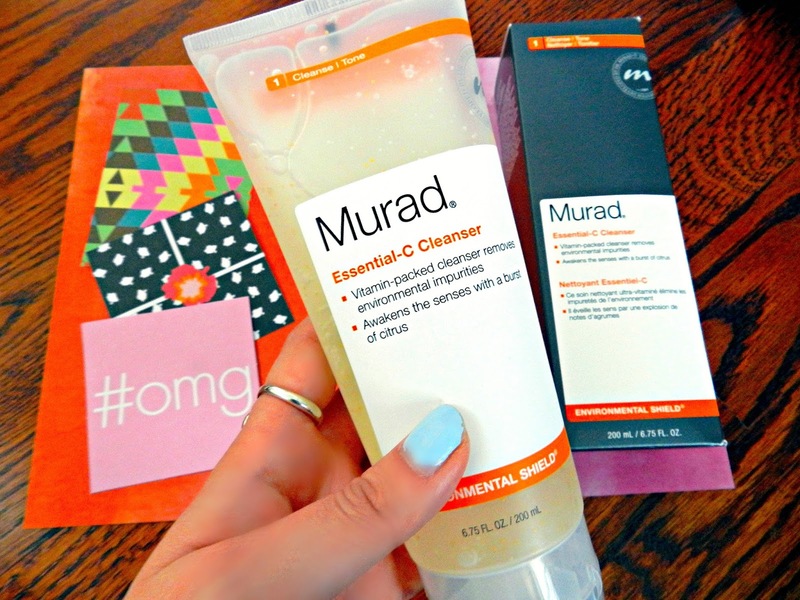 I LOVE Murad. (I've actually written about two of their other lines before: their Age Reform Intensives and the Blemish Control Travel Kit. If those sound like they're more up your skincare alley, then I'd definitely give those posts a read). 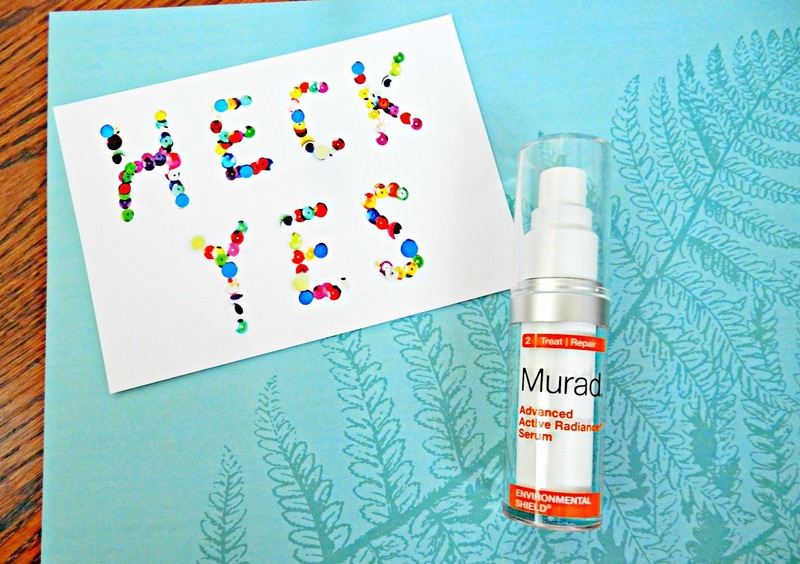 One thing I love about Murad is that everything is always made easy with a clear 3-step process so if you're really confused about when you're supposed to use a serum in your skincare routine, or just have no idea where to start when trying to choose out of their large selection of products, it makes it a little easier. There are more products to this line than the three reviewed below, but hopefully this gives you a taste of what it has to offer, and if it's worth purchasing! I have never been a wash-my-face-in-the-morning person. Ever. I think I never got into it because I really don't like to moisturize my face in the morning either. A lot of the cleansers I've used are amazing but often immediately leave me feeling like I've had all of the moisture sucked out of my skin, so I like to avoid this entire process. The Essential-C Cleanser is the first and only cleanser I've actually been able to use, and continue using, in the morning. This is totally a morning cleanser. There is by no means any reason why you can't use this at night (I think it's actually included in Murad's Night & Day regimen sets?) but this is literally the best way I can describe it to you. It smells AMAZING. The fruity citrusy scent punches you right in the face (in the gentlest way possible) and instantly puts me in a better mood and makes me a little more alert than I was 10 seconds before I lathered it on my face. The scent is beautiful but strong, so if you really do not like scented products, maybe try a tester size out before committing to a full size to see if you can handle it. With Vitamins A, C and E, this cleanser is meant to neutralize environmental aggressors, restore moisture, and prepare your skin for repair. I can't really speak to whether this cleanser made a difference in terms of environmental factors, but it definitely left my skin feeling pet-your-own-face smooth and squeaky clean, but didn't make me feel like I'd just stripped all of the moisture from my skin. I would 100% recommend investing in this if you're prone to dry skin, or if you're looking for a morning cleanser that sets your skin as the perfect base for whatever products you put on afterwards. This is my favourite product out of these three. I've actually tried quite a few similar serum-type products to get rid of dark/sun spots including Sunday Riley's Good Genes Treatment, and Kiehl's Clearly Corrective Dark Spot Solution. Quite honestly, both of these products help fade dark sun spots, but one is ridiculously pricey in a way that makes you never want to use it, and I had to use the other for months before I saw any improvement. This serum is better than both of those products combined. Before I get into talking about the actual product, I need to talk about the packaging. I am NOT a fan of pumps. So many get clogged up easily or are prone to explode which makes travelling with them a nightmare. The best part about this serum? It's lid. Even though the pump itself doesn't twist and lock (which I never find is that big of a help anyways when your suitcase gets thrown around), the lid seals it completely and obviously makes it difficult for the pump to be pushed or broken. I wouldn't recommend this, but I literally swung this bottle around violently while just holding onto the lid (over my couch just in case it fell) and it didn't pop off. Basically what I'm trying to say is that this product restored my faith in the ability to travel with products with a pump. This serum is meant to protect and repair skin with Vitamin C technology that neutralizes free radicals, restoring tone, texture and skin firmness. I preferred using it at night (again, not a big morning skincare routine person) and literally found myself admiring my reflection for a little too long in the mirror each morning because my skin looked and felt so good. Another thing I love about this is that it goes on smoothly and absorbs almost INSTANTLY. It doesn't leave behind any sticky residue, or give you that gross feeling like it's never going to absorb into your skin. Again, the only issue I can foresee with this product is that it also has a strong citrus scent. However, the scent does disappear once the product absorbs into your skin, so you won't have to be conscious of it for long if you really can't handle scented products. Honestly though, if you've ever tried any serums that claim to do similar things, they all have a strong scent to them. The Sunday Riley treatment's smell is probably the most controversial (I actually didn't mind it), but it definitely lingers for quite a while in comparison to this one. First things first, you literally cannot tell this is SPF 30. It doesn't feel sunscreen-y and doesn't start to flake during the day like sunscreen sometimes tends to do after you've been wearing it for a while. I really like this moisturizer. The few times I tried it in the morning (still working on sticking to that morning skincare routine) it was the perfect base for makeup. I didn't need to use any primer with it, and it honestly just makes your skin glow. Sometimes I find that products with SPF can be irritating to use because they cause breakouts, but I have had no issues with this moisturizer so far. Even though it's pricier than drugstore moisturizers, a little goes a long way. I've used this product upwards of ten times and it's still more than 3/4 full. Because I currently live in Montreal where it's cold and I only see the sun for 6 hours a day, I'm probably not going to use this product as much as I would in the warmer months. Even though I do think it's important to wear products with SPF in them all year round, I'll probably put using this cream on hold until the spring/summer. There's also a nighttime version of this moisturizer that I haven't tried but that I'm definitely considering after trying out the day version. This product also has the citrus scent but I ADORE it in the cream. Realistically, if you're one of those people who cuts up lemons, limes and oranges to put into your tea or water in the morning, you're probably used to this smell anyways. The smell doesn't fade as quickly as it does with the serum, but it's light enough in this formulation that you get used to it within a few seconds. If you're really looking for something to protect your skin, and to help you do the impossible and go back in time to repair some of the damage that's already showing, look no further than this line. 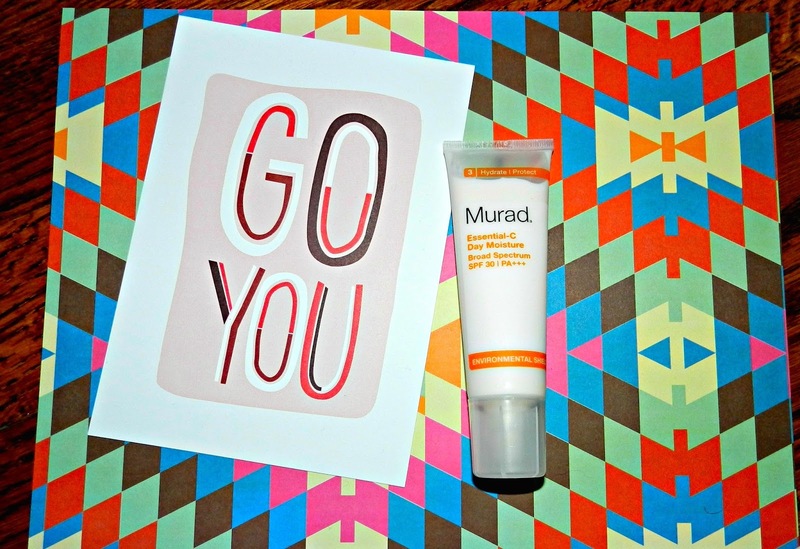 Out of the three product lines I've tried from Murad, this is my absolute favourite. My skin looks clearer and definitely feels firmer, but with a softer texture. 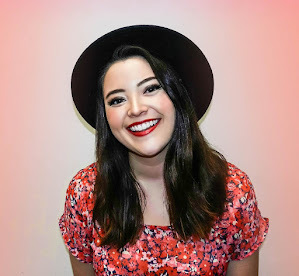 As I've said throughout this entire post, if you're concerned about the beautiful citrus scent, I'd either try out a starter kit to see if you can handle it, or look for an alternative. The starter/travel kit is also a really cool option if you aren't ready to fully commit and spend the money, but are interested in seeing if these products work for you. 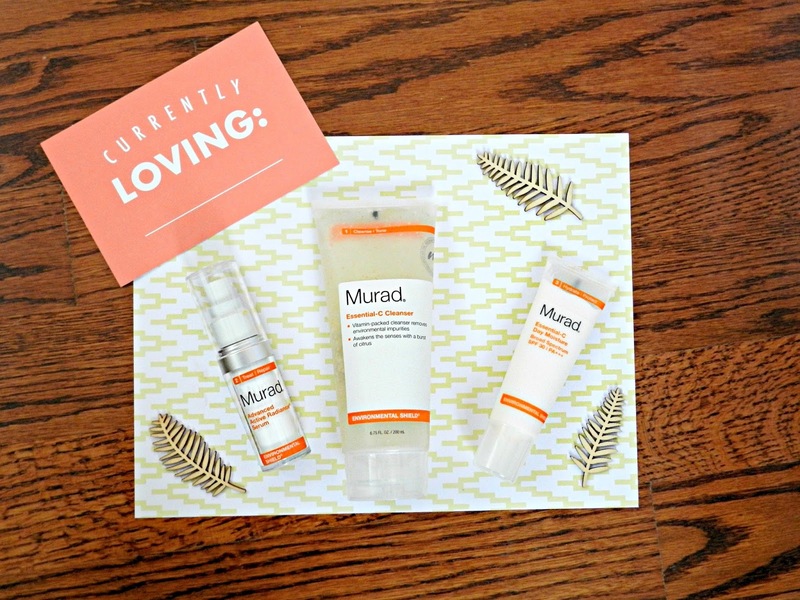 As with the other Murad products I've tried, a little goes a long way. Despite being pricier than some drugstore skincare products, these will last you a long time and are probably better for your skin overall. Personally, I know my skin just reacts better when I stick to one formulated line of products at a time instead of dabbling in a bunch of brands and their products all at once.